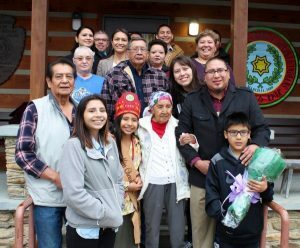 In February 2018, Amanda Swimmer was bestowed the title of Beloved Woman of the Eastern Band of Cherokee Indians, one of the tribe’s highest honors. Amanda Swimmer passed away on November 24, 2018 at the age of ninety-seven. This post is to keep the conversations going. It’s long overdue to recognize our Native populations and all the ways they have they contributed to making our world a better place. They are our watchers and have much to teach us as we move into a changing world. Amanda was such a person, keeping traditions alive. There will be future posts on how art and artists are keeping traditions relevant. Amanda Sequoyah Swimmer was born in North Carolina at a time when Native American children were forced to attend boarding schools, as part of a national effort to assimilate them into mainstream culture. It wasn’t until 1924 that native peoples were given citizenship. Before then, Native American tribes were treated as foreign nations on their own lands. But as a child in fourth grade she grew tired of being punished for speaking her native Cherokee and forced to use English, and one day she jumped her school’s courtyard fence and ran away. She never returned. 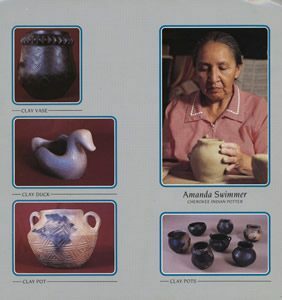 Instead she fashioned a life devoted to the preservation of Cherokee culture, keeping its language and pottery traditions alive. 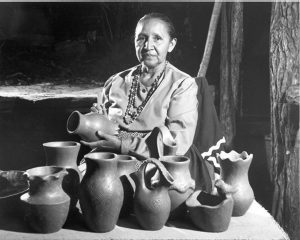 She was revered in the mountainous tribal lands of western North Carolina — honored there as a “Beloved Woman” — and renowned as one of her people’s most skilled potters. The Cherokee had long lived across vast swaths of the Southeast before thousands were forced off their land in the 1830s during the administration of President Andrew Jackson, a racist manipulator of his day. The mass eviction culminated in the forced march west to what is now northeast Oklahoma, remembered as “the Trail of Tears” because of the thousands who died along the way. 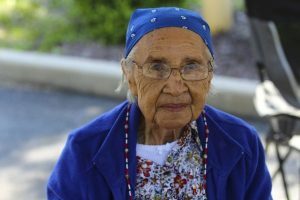 But many Cherokee remained, producing generations of descendants, Mrs. Swimmer among them. During the “Beloved Woman” ceremony, where she was given the honor, laughter rippled through the room one more time before Swimmer continued on a more serious note, offering her best advice to Tribal Council. Swimmer concluded by offering council a prayer in the Cherokee language, with her family then surrounding her for a series of photos to celebrate the joyful event.